Home > NonprofitMaine Blog > You hired your new leader—now what? You hired your new leader—now what? MANP is pleased to present the following guest blog post by Jeff Wahlstrom of Starboard Leadership Consulting–an endorsed provider of executive search services. This post is part of our ongoing Mission Driven Leadershift initiative, which offers resources, services and programs to help Maine nonprofits successfully prepare for and manage leadership transition. You’ve been through an exhaustive (and somewhat exhausting) executive search, and your new leader has accepted your offer. It’s time to celebrate or, at least, breathe a big sigh of relief! 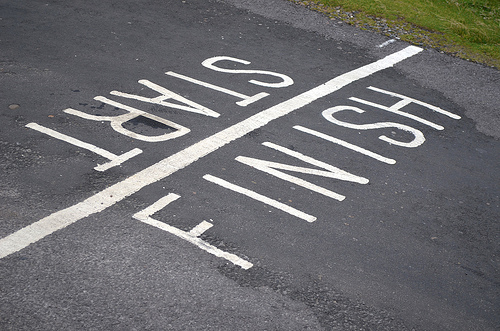 While you are certainly entitled to both, the board needs to appreciate that what happens over the next several weeks, if not months, can be just as important as successfully recruiting the right leader. How you manage the leadership transition and support your new hire will directly impact the success of that person and your organization. The success of your new hire is going to depend greatly on the strength of your staff team. Is your next executive inheriting a cohesive team or are there evident rifts and clear room for improvement? Regardless, your new leader will need to get up to speed quickly on everyone’s work styles and compatibility, and even the most highly functioning staff will need to adjust to a new leader. You can cross your fingers and hope this process magically unfolds, or you can set aside funds to help your new leader assess the existing team and develop their effectiveness through strategic, ongoing team-building. Resource: MANP is offering a webinar in mid-February in partnership with Washington Nonprofits on building effective team leadership and engagement. Nobody’s perfect. Even the most skilled, experienced leaders will be looking for how they can continue to improve their effectiveness. Experience tells us, however, that while leaders speak to the importance of ongoing work to strengthen their management and leadership skills, they rarely devote the resources to make it possible. Don’t expect your organization to thrive without fueling your leader with best practices, proven tools, informed insight and abundant inspiration. Identify specifically how you can help your leader grow stronger each year, include leadership development as a line-item in your budget and make it a priority. Resource: Check out MANP’s Leadership Institute for Executive Directors. Organizational leadership can be a lonely job, especially for a new leader. Consider offering your new hire—whether novice or seasoned—the support of an executive coach, a form of leadership development that is often overlooked in the absence of a specific need for remediation. One-on-one, executive coaching can provide effective support for leaders as they build their skill sets and address issues such as staff and board development, financial management, fundraising and public relations. While board members cannot (and should not) concern themselves with the day-to-day challenges of operational leadership, executive coaches can! They can serve as effective sounding boards, experienced mentors, and active partners in problem-solving. By offering the opportunity for executive coaching, on a short-term or extended basis, you are letting your new leader know that he/she doesn’t have to go it alone. Resource: Find Maine consultants offering executive coaching in MANP’s business and consultant directory. It is a rare board of directors that doesn’t have some work to do, some seats to fill, or some practices that need attention. Job satisfaction and longevity in nonprofit leadership roles are both heavily dependent upon the perceived quality of the board and the staff leader’s relationship with the board and its members. It is important to recognize the role that the board plays in supporting the success of a new leader. It may be time to take a good, hard look at how your board functions and consider how you could strengthen your board governance. Resource: A board self-assessment will help you identify strengths and weaknesses to focus your improvement plans. We recommend in the first year of a new leader’s tenure that the board conduct a formal evaluation at six months and twelve months (and then at least annually after that). While the “why and how” of performance evaluations would require several blog posts, here we want to make the point that performance reviews at these scheduled intervals will help keep the focus on the organizational priorities that you’ve set together, provide an opportunity for essential feedback, and signal the board’s commitment to accountability. Along the way you are ensuring there are avenues for healthy conversation and reinforcing the sense of partnership between the board and your staff leader. Resource: MANP is offering a webinar in late February in partnership with Washington Nonprofits on ED/CEO performance reviews. With the hope that you won’t have to go through another executive search anytime soon, investing time and dollars in these recommendations will pay dividends in terms of performance, longevity, and organizational success. Protect your investment by giving your new leader the support that he or she will need to succeed. Jeff Wahlstrom is managing director of Starboard Leadership Consulting and a MANP-endorsed provider of executive search services. 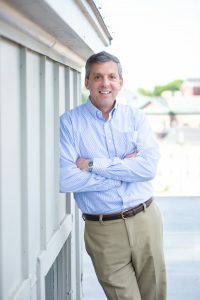 He has more than 30 years of hands-on experience as a nonprofit leader, board member, and consultant to an extensive list of clients, large and small, throughout Maine. He regularly provides counsel to boards on governance best practices, leadership succession and transition planning, and strategic planning. Jeff has developed an online board self-assessment tool and strategic board recruitment toolkit for Maine nonprofits, and he is a frequent speaker on a wide range of board governance and nonprofit management topics.